The National Judicial Council and the leadership of the National Assembly have been called upon to call Hon. Justice Adolphus Enebele of the Rivers State High Court and the Speaker of Rivers State House of Assembly to without further delay effect the swearing in of both Hon. Victoria Nyeche and Andrew Miller who are two APC Members duly elected into the Rivers State House of Assembly. 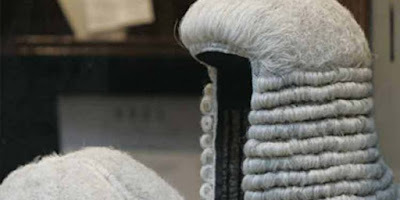 The Vanguard for Justice, Equity and Strategy believes that it will be the height of injustice and flagrant abuse of court process to deny Hon. Mrs Victoria Nyeche and Andrew Miller their constitutional rights of being sworn in after they have been successful elected by their constituents. The vanguard for Justice and Equity, a non governmental organization has called on the National Judicial Council and National Assembly to see that justice is done in this matter and tell Governor Nyesom Wike to stop using Hon. Justice Adolphus Enebele and the Speaker of Rivers State House of Assembly to perpetuate injustice in Rivers State. In a different development, the continued detention of Hon. Ojukaye Flag Amakiri in Port Harcourt prison over trump up charges and the hunting of perceived political opponents by Gov. Nyesom Wike’s administration in Rivers State have called for the attention and condemnation of several civil societies in the state. The latest is from a group known as Alliance for Transparency and Good Governance, who in a press conference signed by the coordinator, Engr. Erasmus Obele Nwankpa, expressed concern over unnecessary use of state powers by Gov. Nyesom Wike. The Alliance for Transparency and Good Governance, said that if Gov. Nyesom Wike and his cohorts in Rivers State judicial supermarket as referred to by the National Chairman of People’s Democratic Party, Alhaji Ali modu Sheriff, is not checked, the state will soon turn to “jungle Justice” where perceived political enemies can be thrown into prison without trials as is currently the case in Rivers State. The Alliance for Transparency and Good Governance joins other civil society groups like; Patriotic Initiatives and Vanguard for Justice, Equity and Strategy to call on President Mohammed Buhari and the Chief Justice of the federation Hon. Justice Mahmod Mohammed to call Gov. Nyesom Wike and his associates in Rivers judiciary to stop hounding innocent citizens in the state or face mass actions by civil society groups in the state.